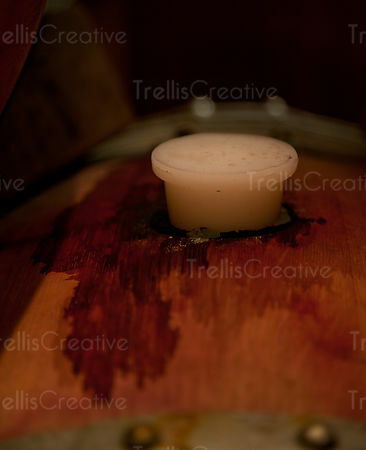 New barrel with the hole on the side for aging wine. 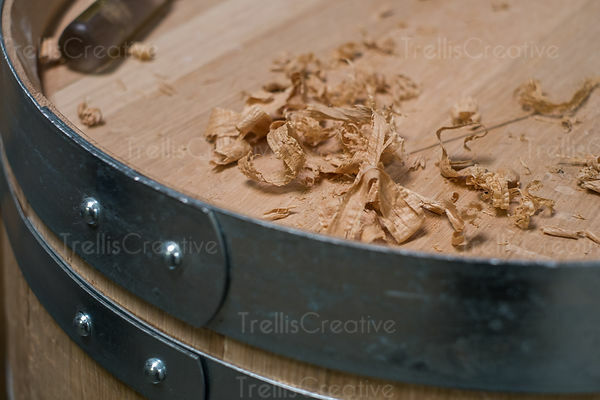 Close-up of a barrel top with wood shavings on it. 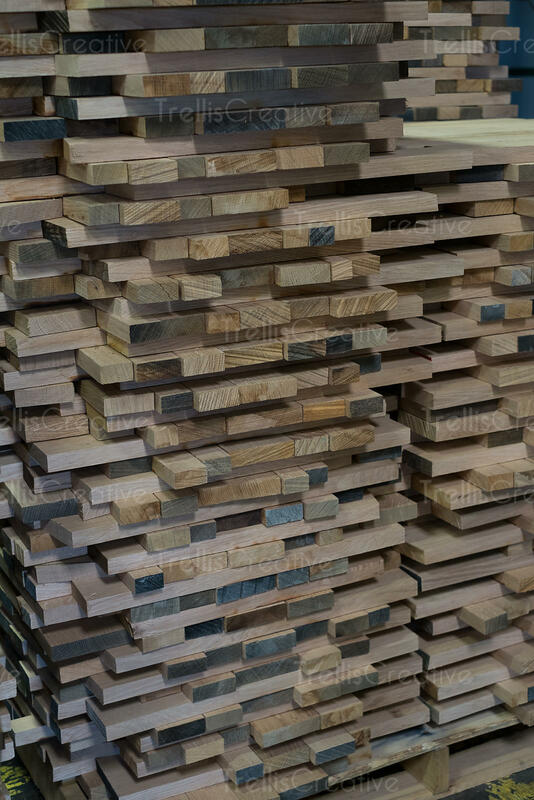 A pile of wood planks. 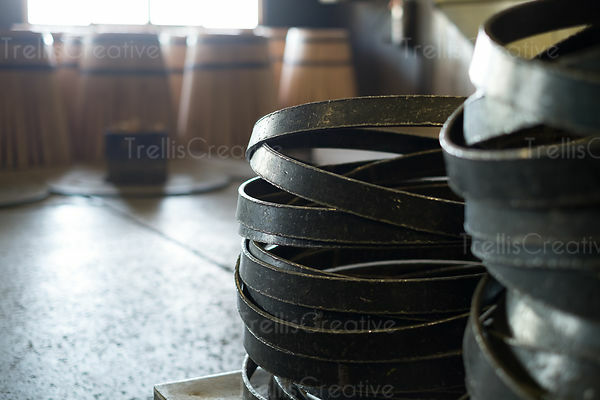 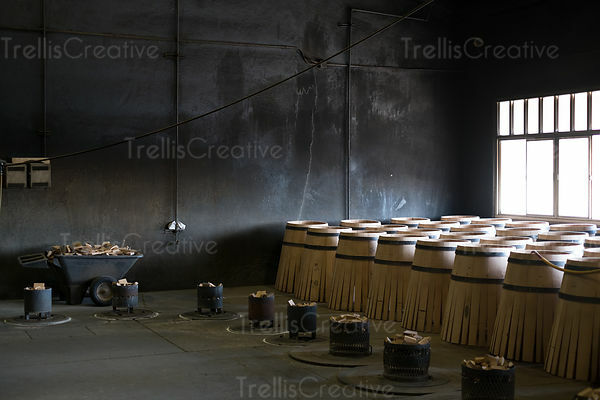 Cast iron barrel rings stacked in the cooperage. 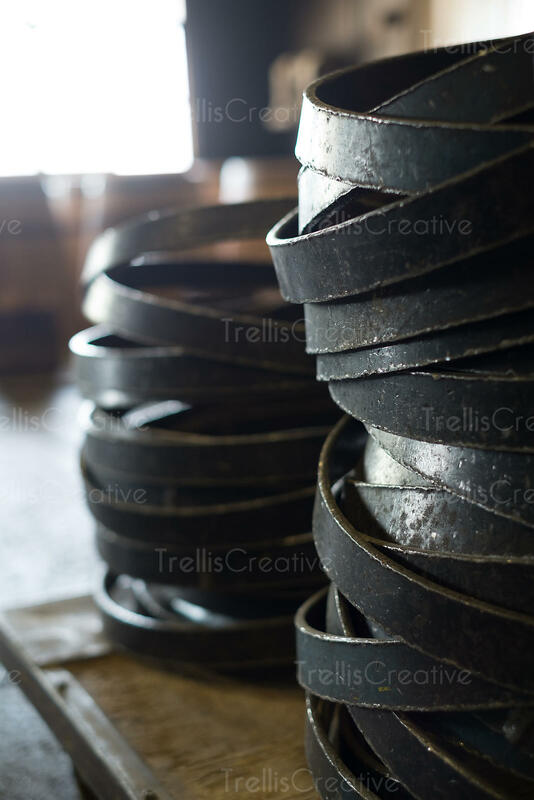 Stacks of iron barrel rings on a table. 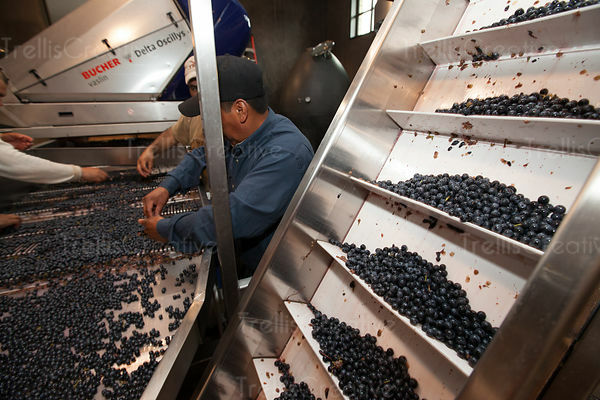 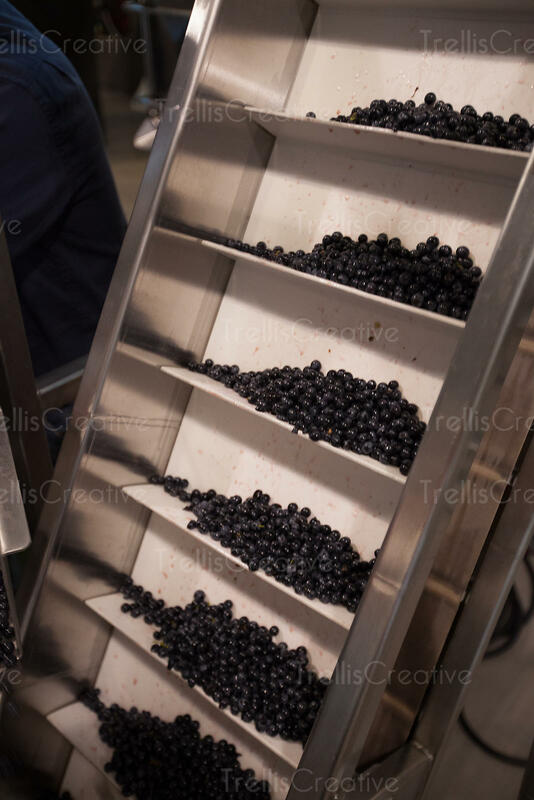 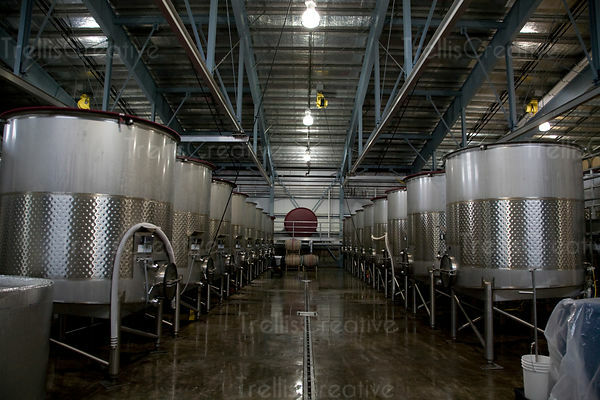 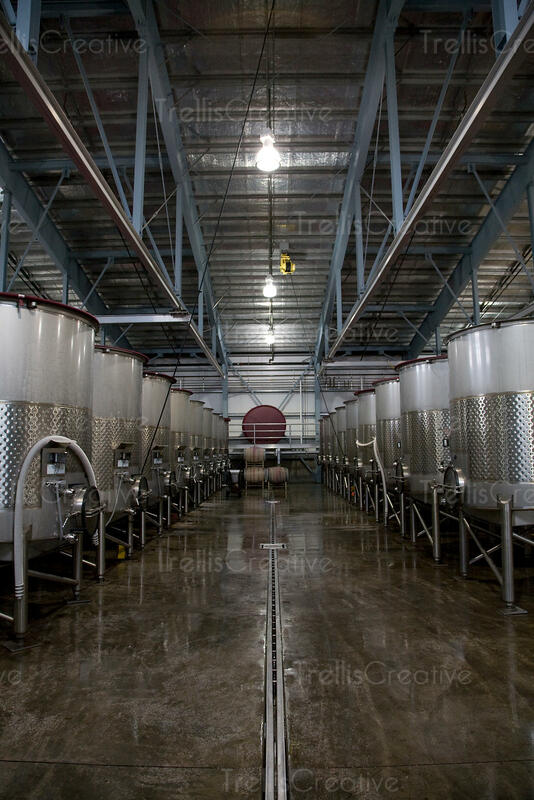 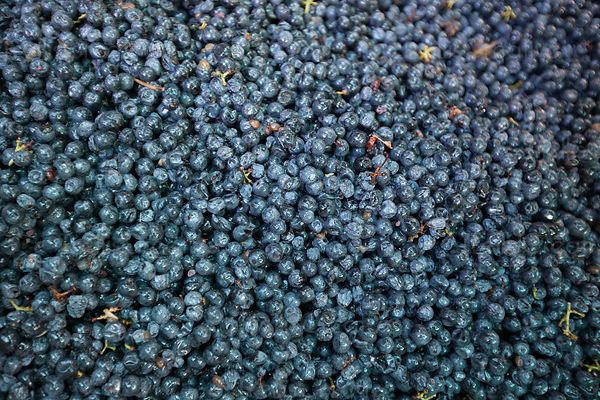 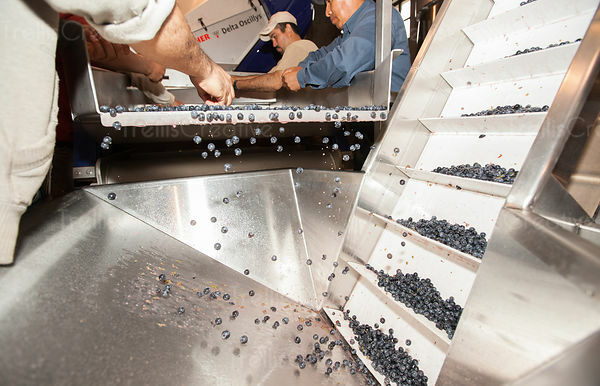 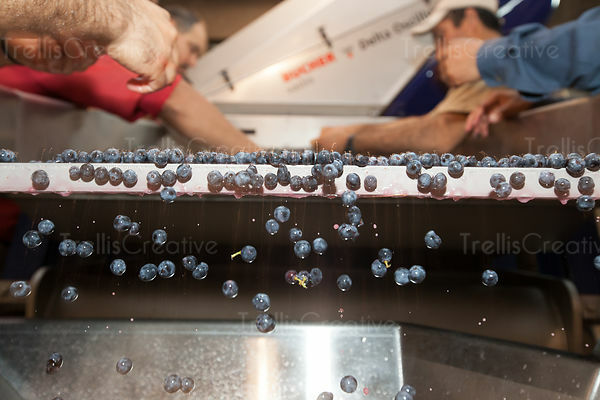 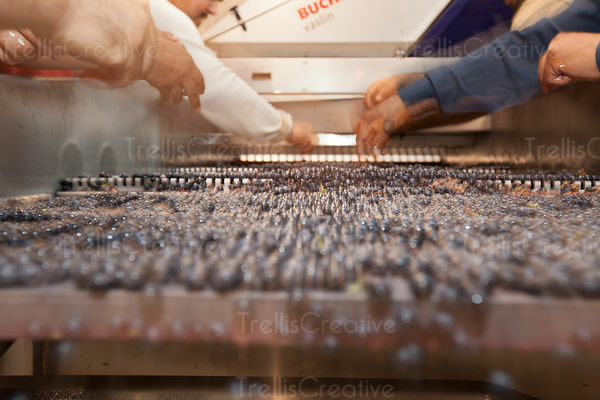 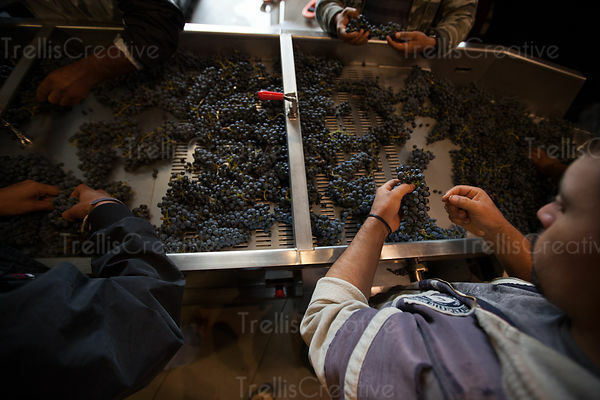 Destemmed and ready to crush, a bin full of juicy, ripe cabernet sauvignon grape berries. 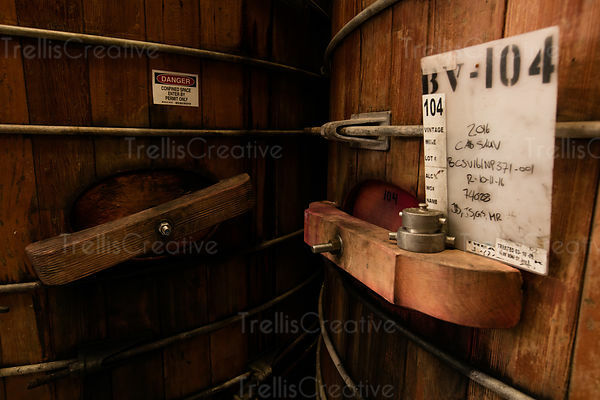 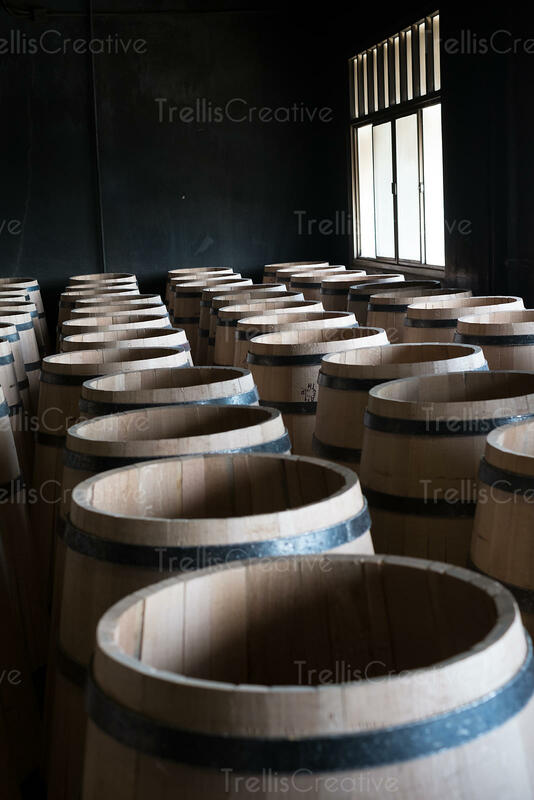 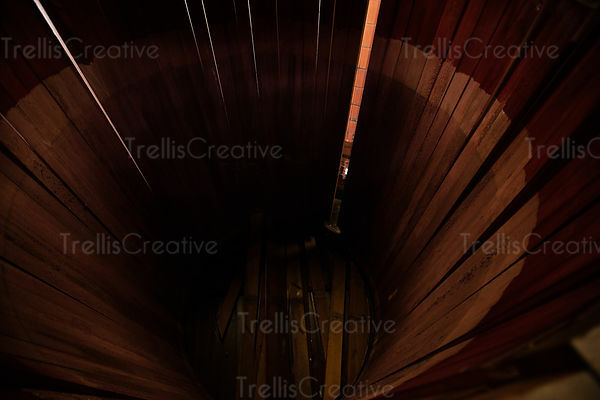 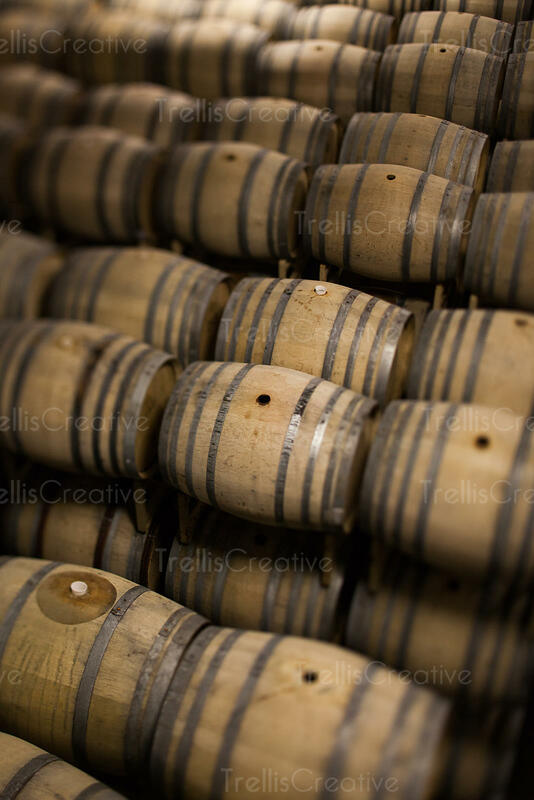 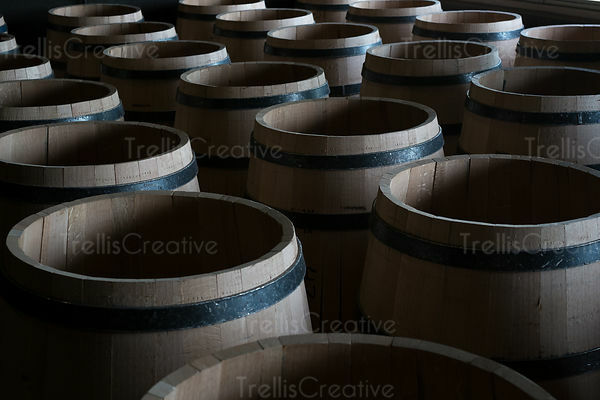 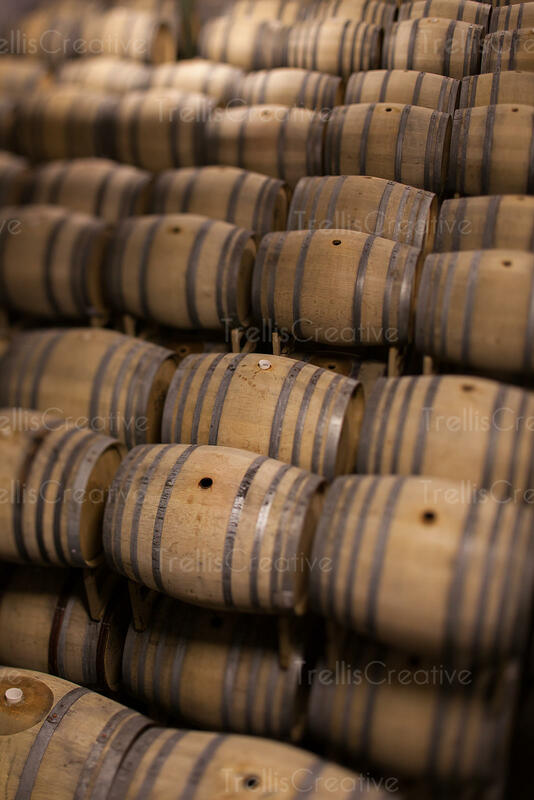 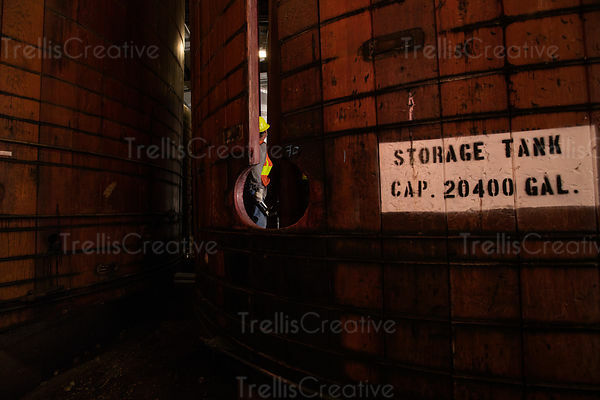 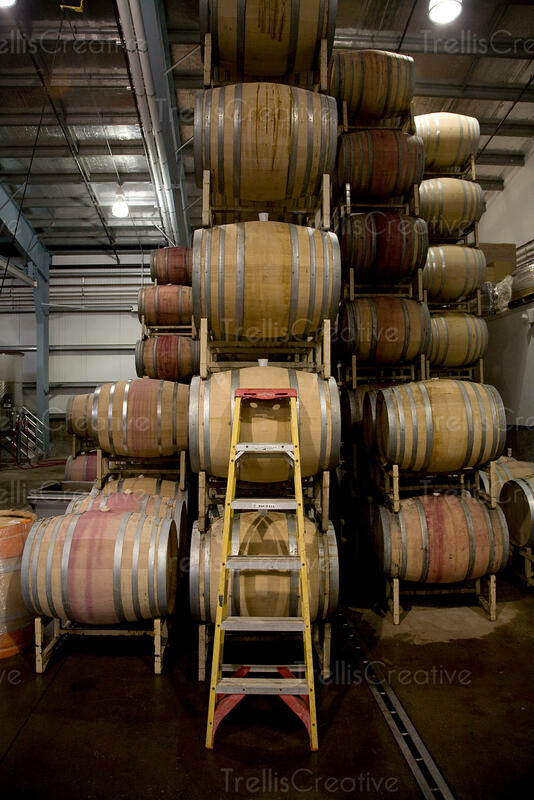 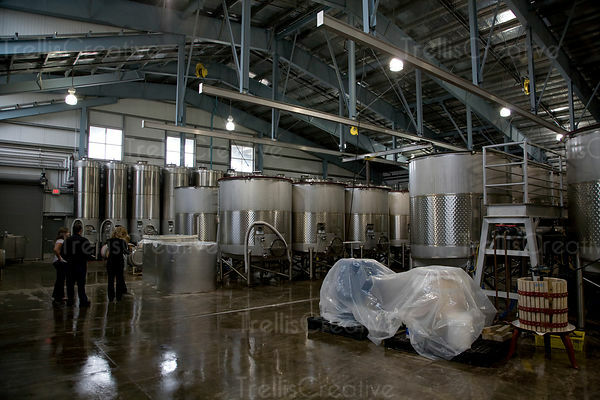 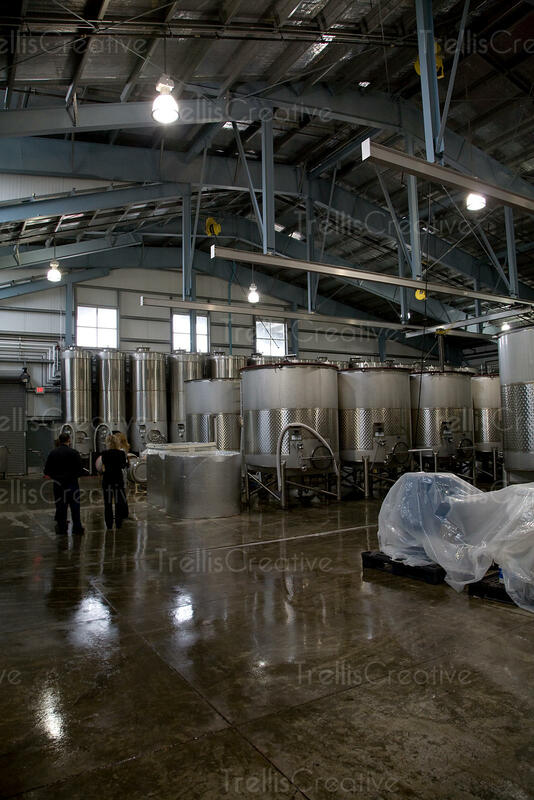 Winery cellar filled with stacked oak wine barrels. 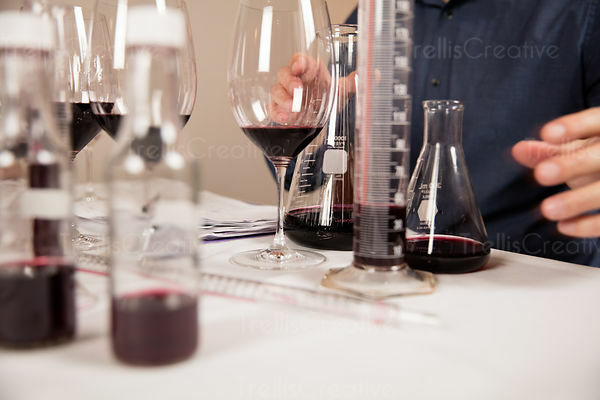 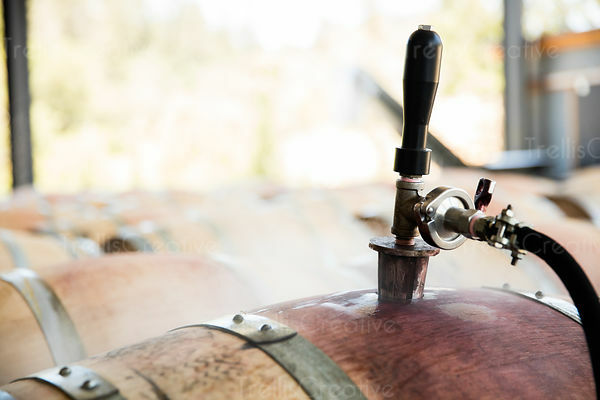 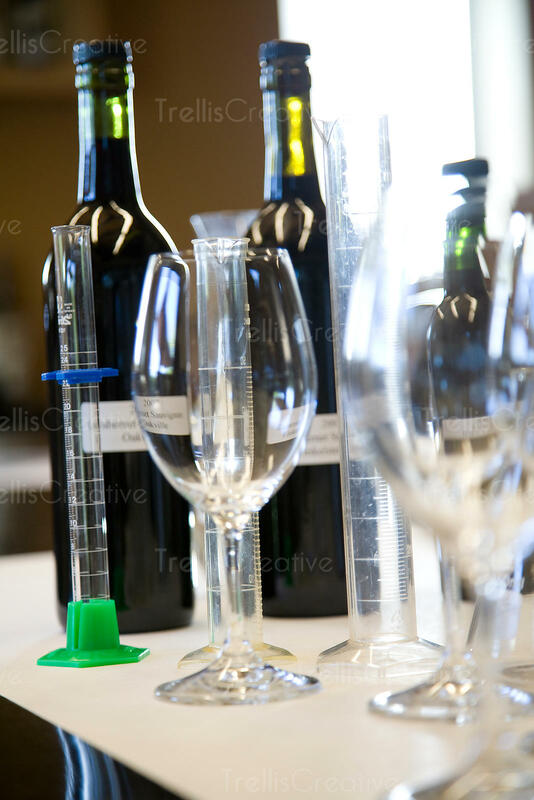 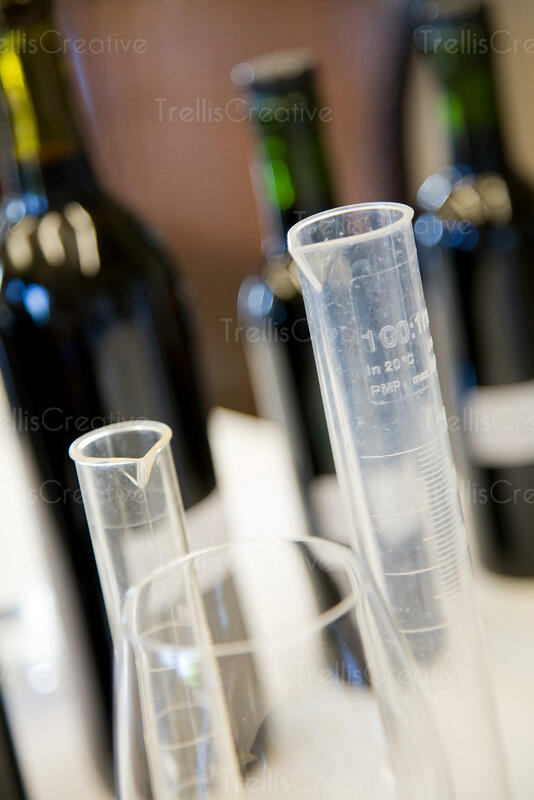 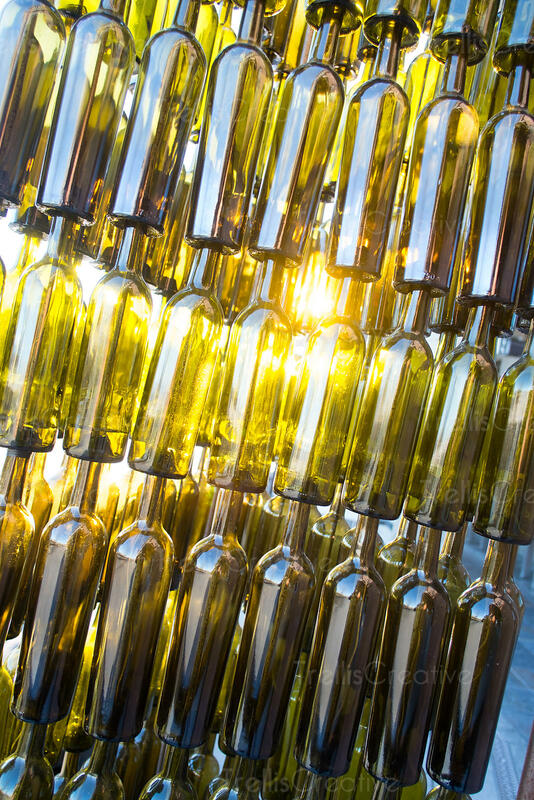 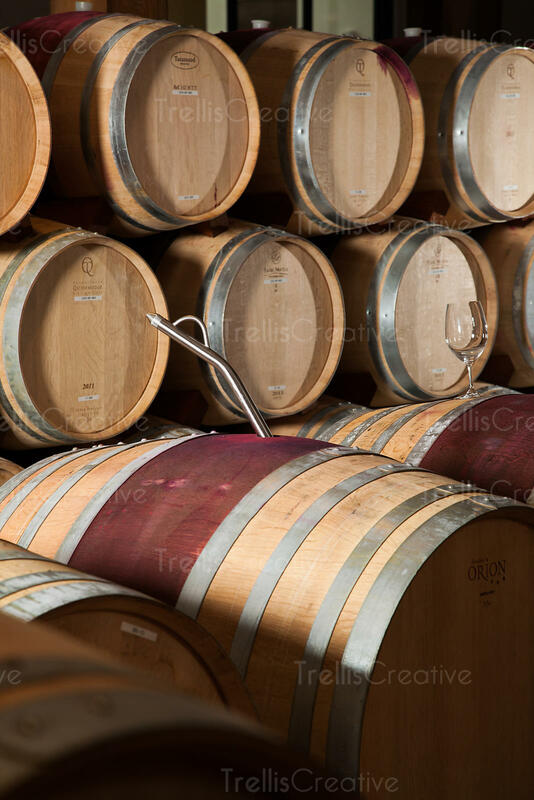 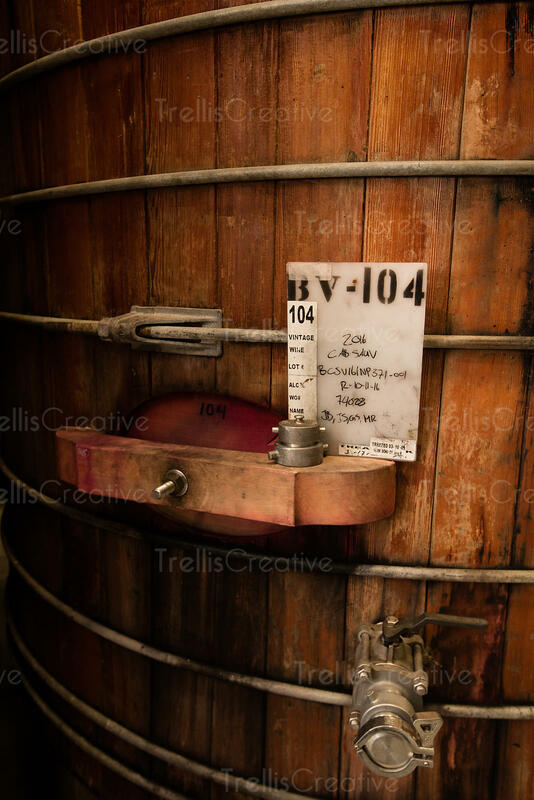 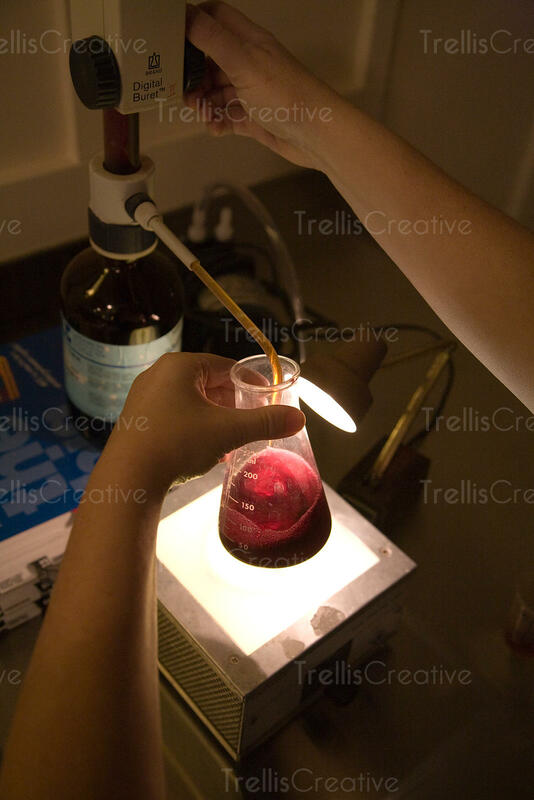 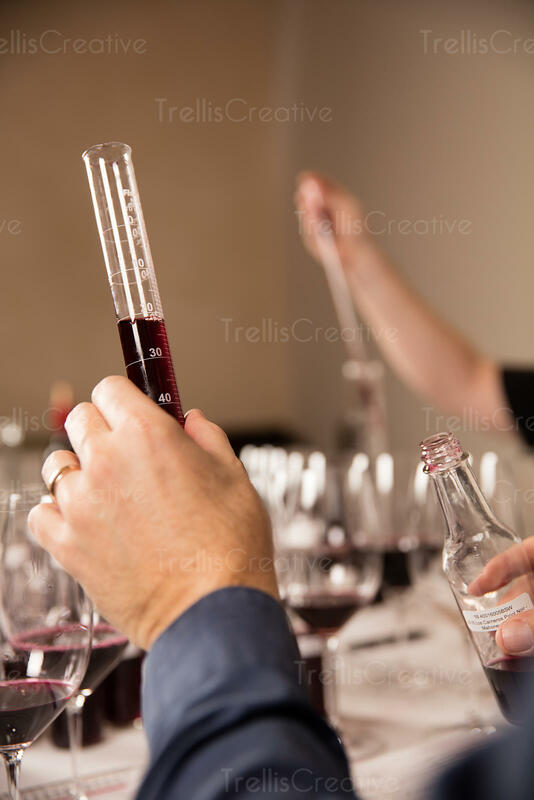 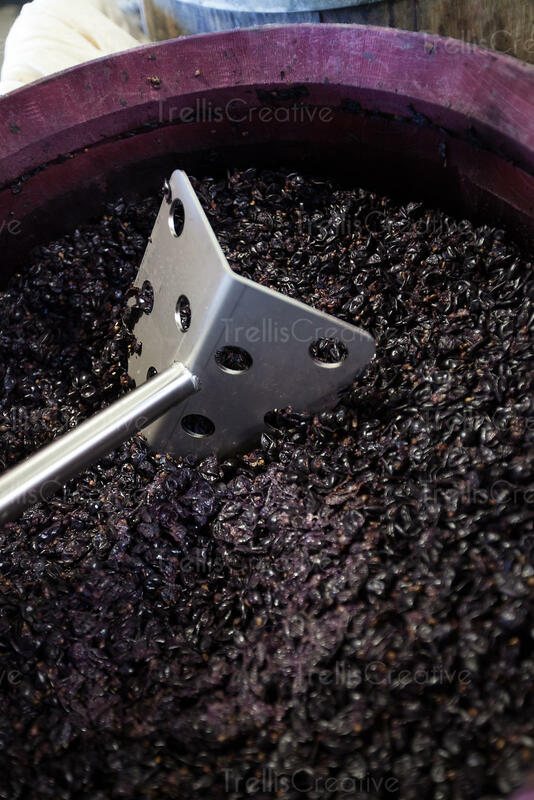 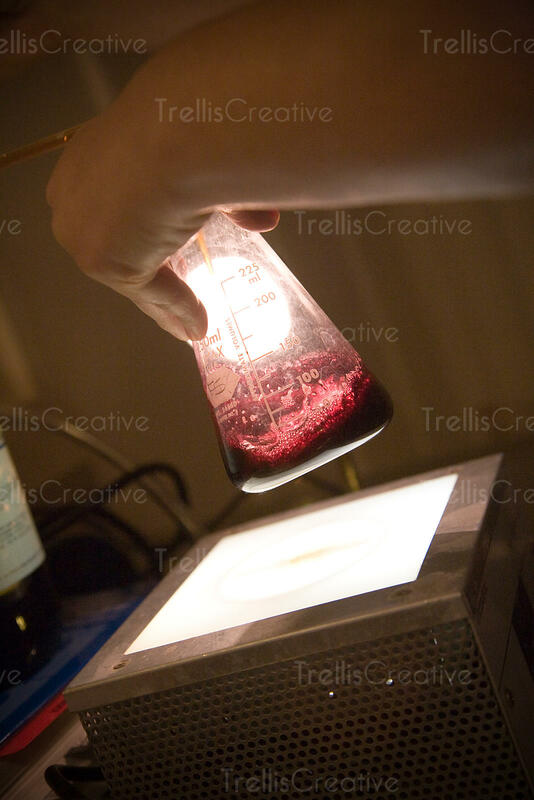 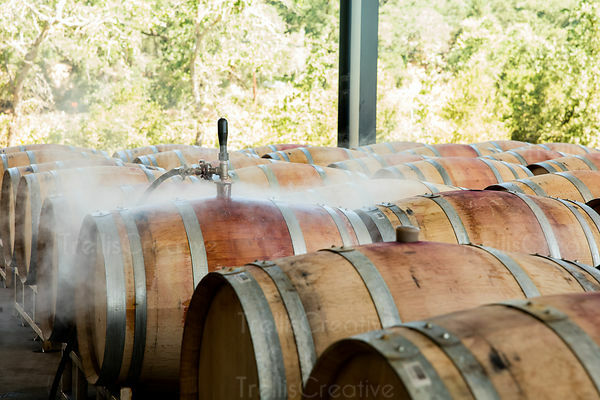 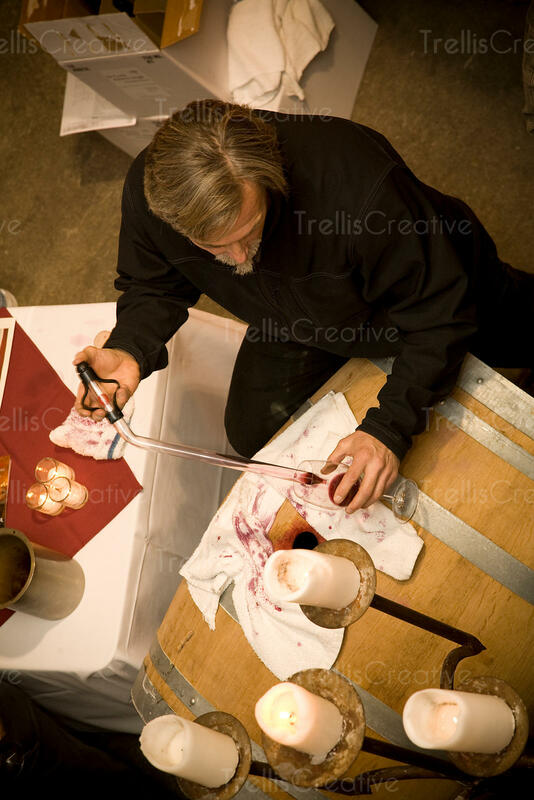 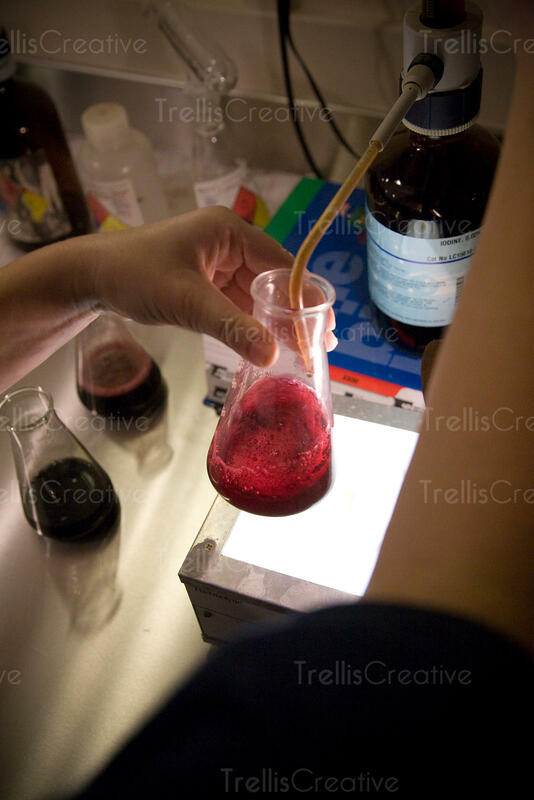 A winemaker theives red wine from a barrel. 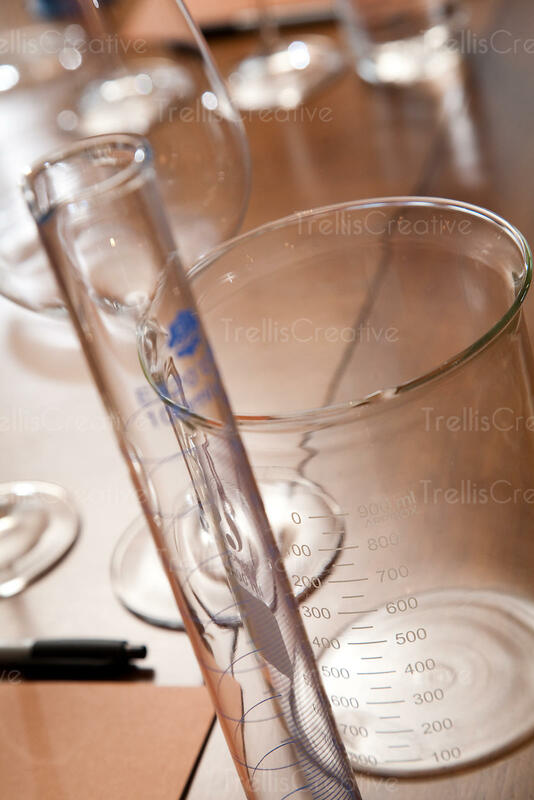 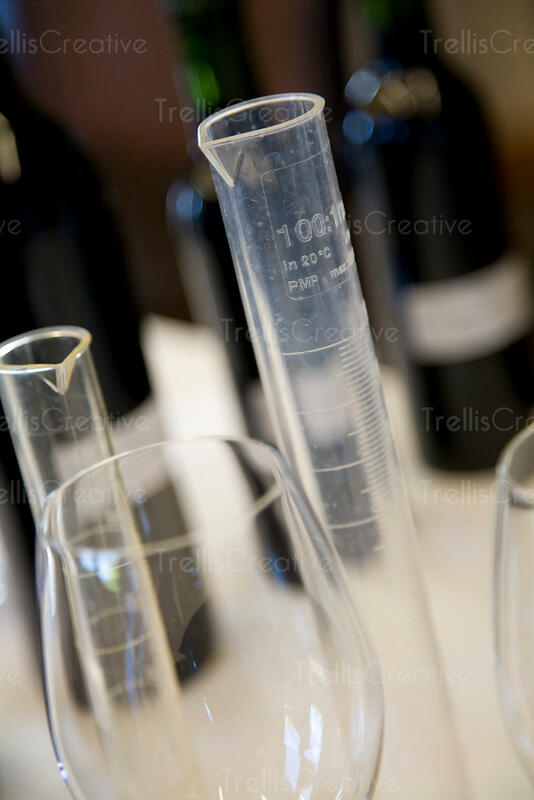 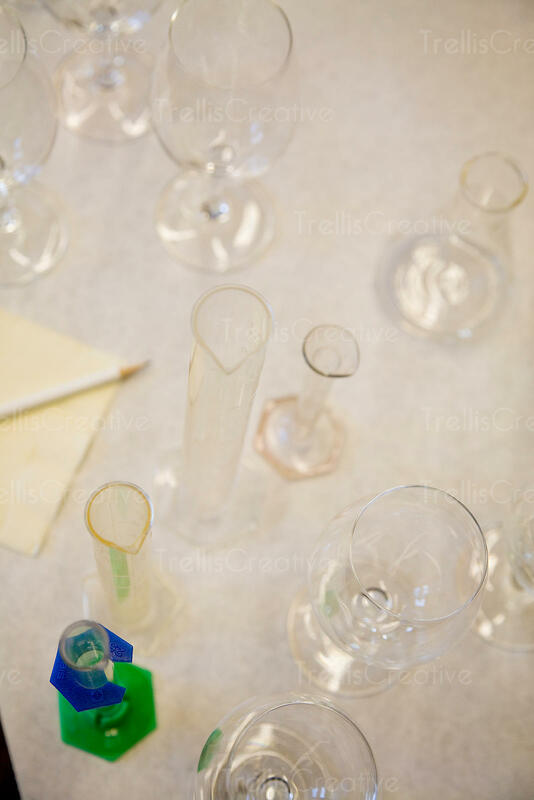 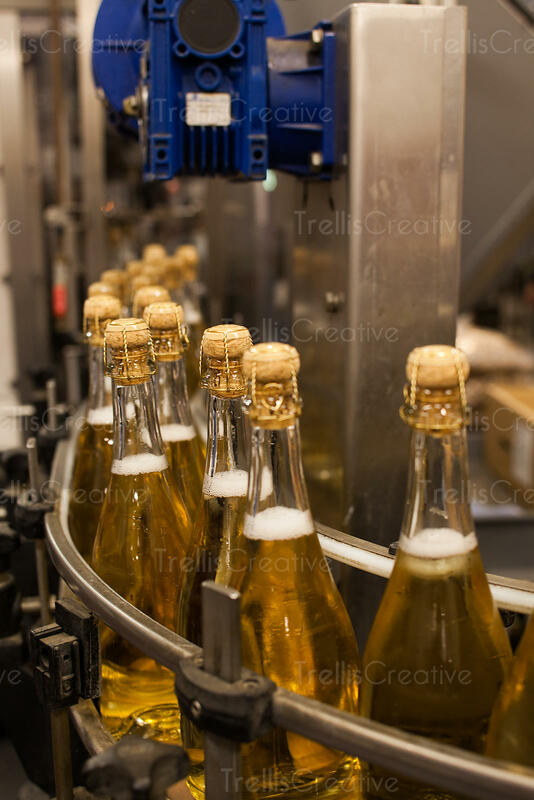 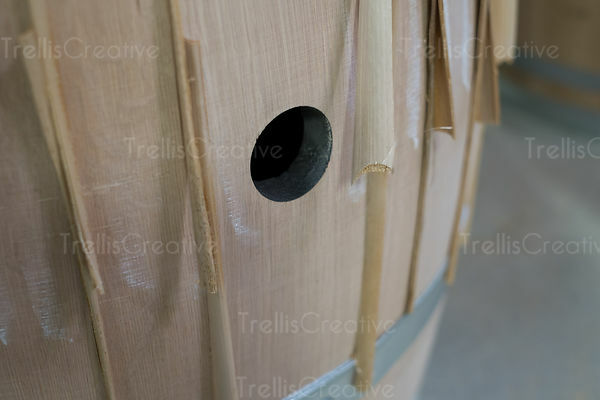 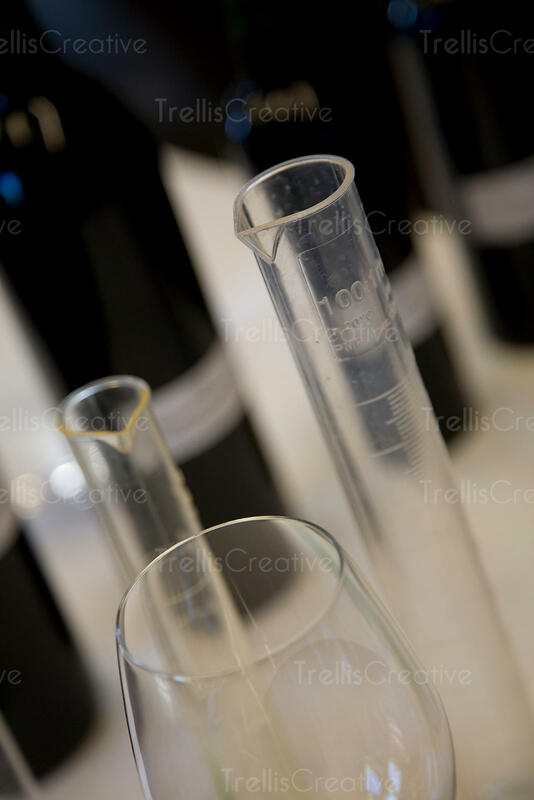 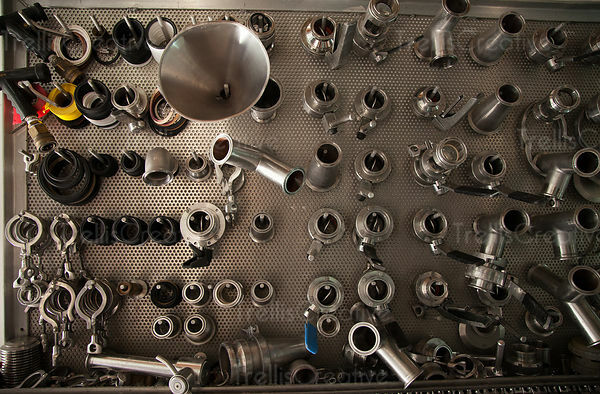 All images, logos, photographs and content are © 2019 Trellis Creative Inc.